A battery is probably the most important part of your phone. In fact, every time a new phone comes out, the battery life is probably the most asked question among the heavier users. It is true though, a heavy user may have to carry battery packs with him, or avoid using the phone at all. Not an option, really, if you do belong to the heavy user category. Now, the world is mostly talking about the Galaxy S6, but I do carry with me, these days, my old trusty S4. It has served me well over the last two years, and while I am now running Lollipop, the battery life was starting to disappoint me a bit. I have already tried various battery packs, and heck, even a bigger battery for the phone, but the extra weight of these often ends up starting to annoy during daily use. The answer was simple, looking up trying to find a reasonable new replacement for the battery. Luckily I found a genuine Samsung one from MobileFun. 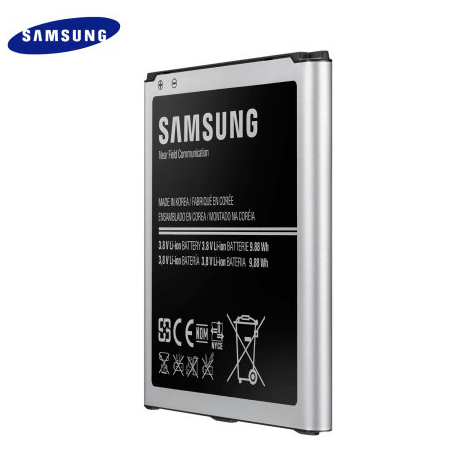 The battery arrives in a Samsung pack, and as expected, easily goes into the phone, much like the old one. There is no further action required from the user, no calibration, no software, etc. You’re good to go. So, how did the battery life go? Well, I can happily say that I have got similar performance as I expect from a newer phone. I can go through the day without worrying (too much), and still have 30-40% battery left at the end of the day. Just the result I wanted. One of the lesser known facts about this particular model is that the NFC is also built into the battery. This means that the NFC performance of your phone also depends on your battery working properly. I was able to try it with a couple of speakers I have, and it works perfectly. Sadly, a good review makes for a boring read, but no news is good news and all that! If you have an old phone with battery issues, this is a no-brainer. Spend the very small amount it costs to give your phone a new lease on life!